When you're a new blogger (and even if you've been blogging for a while), the amount of jargon that gets tossed about can seem overwhelming. 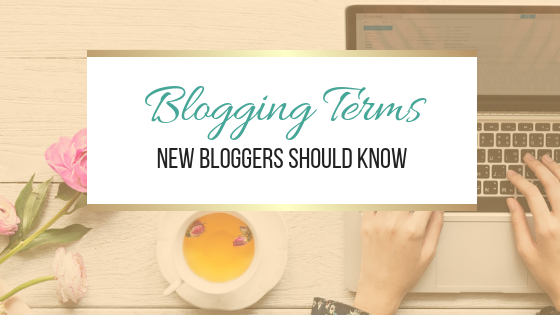 I thought I'd put together a list of some of the most common blogging terms and give you a quick explanation of what they mean. Blog: Short for Weblog. This is a collection of thoughts, media, etc... shared online. Blogosphere: This is the entire network of blogs. CAPTCHA: Short for Completely Automated Public Turing Test To Tell Computer and Humans Apart. A CAPTCHA will ask you to verify you are human when leaving comments on a blog. Favicon: This is a small graphic that shows in your browsers address bar. This is typically your logo or another image that represents your brand. Hosted: This refers to a blog that resides on a host serves. Popular host platforms include Blogger, and Wordpress.com. Non-Hosted/ Self-Hosted: This is when your blog is hosted on your own server (usually a third party you pay to host your website). e.g. Wordpress.org. HTML: Short for Hyper Text Markup Language. This is the language used to define how elements display on a web page. CSS: Short for Cascading Style Sheets. This controls how your website looks to a user. This includes your page layout, colours, and fonts. Permalink: The url of a particular post within a blog. No Follow: A link attribute that prevents links from being crawled by search engines. Meme: This is when an image, video, phrase, or even just an idea spreads from one person to another. They often involve sharing specific information about yourself e.g. answering specific questions. If you invite someone to play along with a specific meme then it's called a tag. These are a great way for bloggers to connect with the rest of the blogging community. RSS: Short of Really Simple Syndication. This is a means by which readers can subscribe to your blog feed. Subscribing makes it easier for readers to follow your content and updates. Meta Description: This is the text that describes your post and will appear under the link in search engine results. It should contain relevant keywords you'd like to rank for. Bounce Rate: This is the percentage of people that visit your website, and immediately exit without visiting a different page on your site. 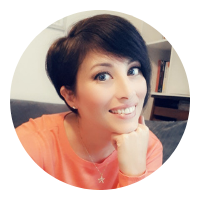 Got a question about blogging? Post a comment below and I'll try to answer it for you in a future post. Your blog is honestly a fantastic life saver. Aww thanks. I'm glad you find it useful. Blogging isn't as simple as some think so try to help out. I didn't know a couple of those. Great list Jo. Very helpful for people who are not web savvy. 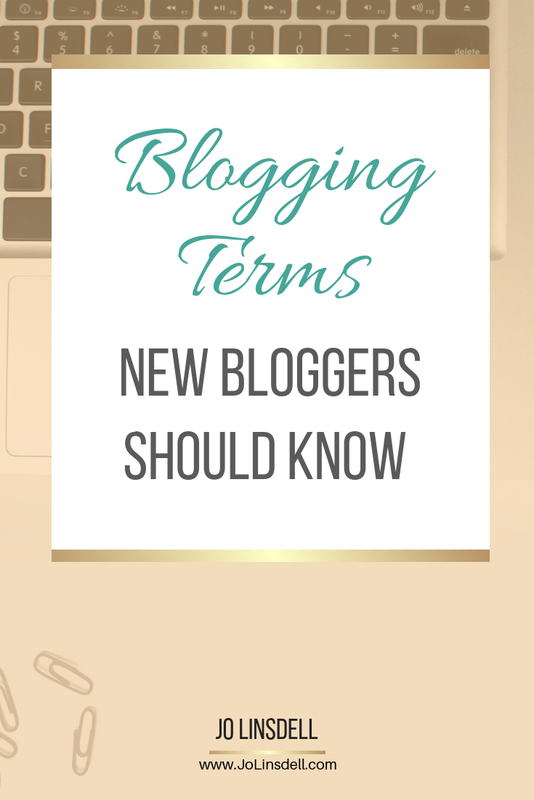 A lot of bloggers when they first start out don't know what some of the blogging terms mean. Even those of us that have been blogging for a while sometimes get stuck ;) Glad you found the post helpful. Thanks Sarah. I'm glad my blog is useful. Great list and helpful to have these things defined...now if I knew what to do with them all! Ha! Maybe I should do some more how to posts? Maybe some more specific stuff like how to install your Favicon? Let me know the type of thing you'd like more details on and I'll put together some blog posts. I learned something new today!! I need to bookmark this page to reference it in the future. Aww thanks. If I can knock your socks off there's no stopping me ;) Glad you found this post helpful. This is awesome! There are so many terms that I don't know! I might do a longer list with more blogging terms in the future. A lot of bloggers don't know them all. What a marvelous list. Thank you. My pleasure. I'm glad you found it useful. Glad you found it helpful. All the blogging terms can be overwhelming sometimes. Great helpful advice Jo thank you so much for sharing your awesome post. I never even heard of a few of them. I tried to throw in some of the most common blogging terms, but also include the ones that even slightly more experienced bloggers might not know. I might do another more complete list in the future.